Credit Karma Review: Not a Scam and Pretty Accurate Too! Below is my Credit Karma review, which is my personal experience with the company’s credit scoring tools. So I decided to give Credit Karma a whirl, considering they proclaim to be the providers of absolutely free credit scores and credit reports without the need for a credit card. They even highlight that fact in their TV commercials. To sign up, you simply need to come up with a screen name and password, and then fill in some basic information, including address, phone number, and social security number. Don’t worry, your social won’t be stored in their database, it’s only used to retrieve your first credit score. So yes, Credit Karma is perfectly safe to use. You also have the option of providing your annual household income, which Credit Karma claims will help you receive a “more tailored report and savings data.” Not sure about that one, but it’s up to you what you want to provide. After inputting the information and agreeing to the terms, Credit Karma generates a credit score instantly. Yep, it’s really free! Phew. They said mine came from TransUnion, one of the three main credit bureaus. My current credit score is 811, which is considered “excellent,” ranking in the 91% percentile nationwide. Not too shabby. As you can see from the graph below, they also provide you with your full credit score history (which I believe dates back to when you first opened a Credit Karma account). And they show you when your credit score was last updated, along with when it’s due to get another update. It appears to be weekly. 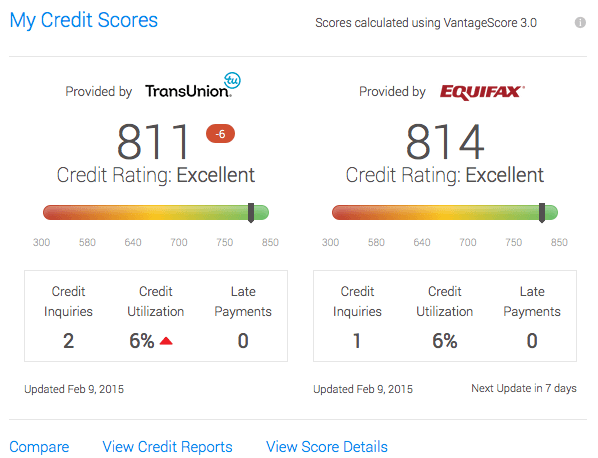 Update: Credit Karma now provides two free credit scores, one from TransUnion and one from Equifax, both based on VantageScore 3.0. They also provide a little credit score range, in which I was in the second to highest credit scoring tier (I’m a little disappointed). 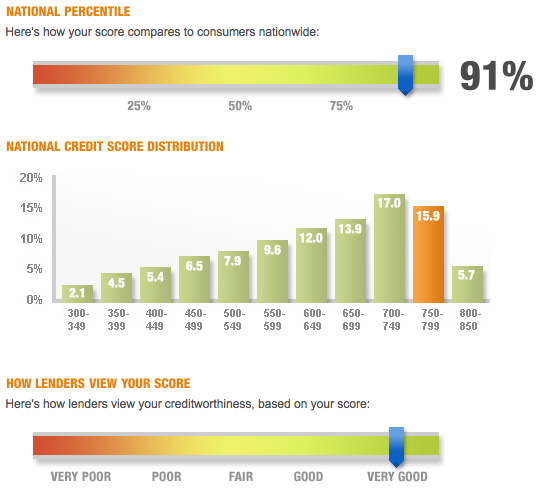 Still, lenders view my credit as very good, so it shouldn’t really matter other than my bruised ego. Note: Credit Karma uses a different credit scoring formula than the ones you might actually pay for via the credit bureaus or receive from lenders (FICO), and it could vary widely depending on what is and isn’t reported (and how and when it is reported). Credit Karma has a “credit report card” as well, which is a quasi-credit report with information such as credit card utilization, percent of on-time payments, average age of open credit lines, total accounts, total number of hard credit inquiries, and total debt. Additionally, it compares to you to other users on Credit Karma to see where you stand, with metrics for age, state, and even the e-mail address your provided (Yahoo, Gmail, etc). 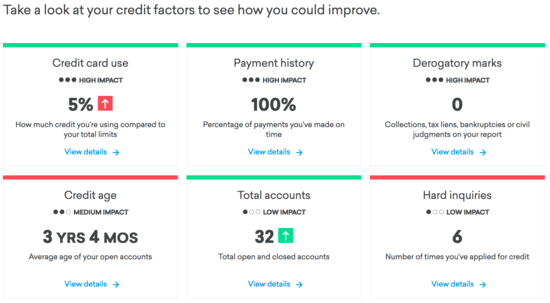 Finally, Credit Karma provides a credit score simulator to determine where your credit score might stand if you performed certain actions (similar to the FICO score simulator). All in all, a useful tool to see where you stand credit-wise without having to deal with one of those free trials. Despite it being a dumbed-down credit report, it’ll probably catch any red flags you may not be aware of, which would likely prompt you to order a full credit report or monitoring program so you could take necessary action, like credit report disputes and so forth. Whenever a new, “free” product is released to the general public, people automatically assume it’s got to be a “scam.” After all, nothing comes without a price, right? Personally, I don’t think Credit Karma is a scam, though they’ve certainly got a business model in place that benefits them in the event that you apply for a credit card or new line of credit (they may earn a commission). That’s right, Credit Karma is advertiser-supported, so you will receive offers from banks and credit card issuers if you sign up for the service. And Credit Karma may even “recommend” that you open a certain line of credit, such as a 0% APR credit card, or refinance your mortgage to save money. Just be sure to opt-out to avoid being bombarded. They actually recommended that I refinance my credit card debt (which I pay off in full each month) with a new personal loan, which makes absolutely no sense. So be warned! Some might consider such bad advice to be a scam. Okay, so we know Credit Karma isn’t a scam, despite offering free credit scores and even free tax filing services. But as mentioned, they do give you all that free stuff in return for access to your financial records. That helps them offer related services and products you might be interested in. That marketing aside, Credit Karma is just as safe as any other major website you might use, thanks in part to 128-bit encryption technology, which is one of the most secure encryption methods used today. They also work to protect you from identity theft, so if anything they might be beyond safe and into the realm of working as a protector. In terms of privacy, they say your info won’t be shared with unaffiliated third parties for their own marketing purposes, but that doesn’t mean it won’t be shared for other purposes. Or with affiliated partners. If this bothers you, that’s fine. But it seems near impossible to not have your information shared by the many, many companies you choose to do business with. I personally use Credit Karma and find it helpful and interesting to see my credit scores every now and then. However, I’ve never acted on one of their recommendations, and probably won’t in the future. I find that they often recommend credit cards I either already have, recently had and closed, or just aren’t very well-suited for me, such as a balance transfer card when I never transfer balances or have outstanding credit card debt. So I will say to tread cautiously with their recommendations, especially the credit cards, and always be sure to look for better offers elsewhere. Credit Karma just launched its so-called “Best Offer Guarantee” in an effort to address what I just discussed; better credit card offers. In short, if you apply for a credit card via Credit Karma, get approved, then find a better welcome bonus on the same card within 30 days of approval, you can get compensated with an Amazon e-gift card for the difference. For example, say you apply for a credit card with a $150 sign-up bonus via Credit Karma, then a week later find a public offer (or targeted offer with your name on it) for $300. Instead of kicking yourself, you can ask Credit Karma to match the higher offer thanks to their new claims process. If you submit some paperwork showing proof of your approval, the better offer, and fill out a claim form, you may get “matched” via that Amazon gift card. The caveat, and this is a strange one, is that Credit Karma needs you to mail the claim documentation. You can’t do it online, which feels like a hurdle for most these days. Do you even know how to use the mail? How does a stamp work? Where do I put outgoing letters? Okay, I’m embellishing, but still, it’s true that we’ve become very snail mail averse. And I question whether some of the youngsters actually know how to use physical mail. Anyway, this new perk is a nice safety buffer if you do happen to apply for a credit card with Credit Karma. Just be sure to act fast to get your claim in if you want it to get approved! 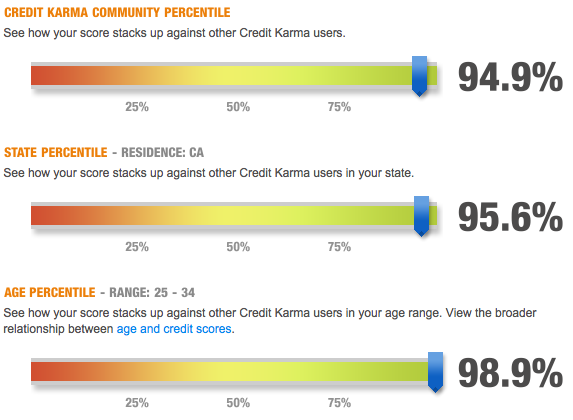 How accurate is Credit Karma? Hmm. This is tough to answer. For example, I recently applied for and got approved for the Chase Sapphire Reserve card and its awesome 100,000 bonus points. But Credit Karma doesn’t show the credit card in my account, so the accuracy of my just updated credit score may be in question. However, Credit Karma does give you the ability to connect accounts such as credit cards that aren’t yet listed. Perhaps this will speed up the process and lead to better accuracy in the future. Additionally, the credit score provided by Credit Karma is not a FICO score, so it will differ from your true FICO. How much it will actually vary will depend on how much recent activity you’ve had. If you don’t use your credit cards very often, or open new accounts all that much, accuracy should be pretty high. Conversely, if you’re constantly opening and closing accounts, and/or charging up big balances and paying them off, you may see bigger data lags and inaccuracies as Credit Karma processes the new information. In other words, you might need to be patient, or just accept the fact that your credit score may be a little out-of-date, even if constantly updated. For the record, I’ve currently got a 793 FICO score on my Discover it statement, a 766 score with Credit Karma, and a 743 credit score with Credit Sesame. I don’t ever expect these to line up perfectly. But they’re all in range so I’m not too bothered. *If you want to see all 3 of your actual credit scores and related credit history, you must order a tri-merge credit report. But Credit Karma’s free credit score seems to be a fairly accurate representation, making it a good start for someone interested in knowing a little bit more about where they stand. In March 2014, Google Capital made a sizable investment in Credit Karma. The search provider led an $85 million investment round in the company. Along with the monetary investment, Google Capital Partner David Lawee will join Credit Karma’s board of directors. And if all goes well, I wouldn’t be surprised if we see Credit Karma being publicly traded in the not-too-distant future. The move should also strengthen the Credit Karma brand, and make it a more trustworthy destination for consumers looking to view personal financial data in a safe environment. I tried to register for my Free credit report and now the big “BUT” ! All went well during the input process until the last step, in which I input the last (4 ) digits of my social security number and then site put me in the endless error loop. Every one is familiar with the red text error message ,that states your input is invalid. I my case it kept telling me that I did not know or had not input the last 4 digits of my SSN. I am 63 years old and have had it for 50 years. I knew it when I got it in order to carry newspapers and I know it now ! There is something fishy going on! Sorry to hear that…I didn’t experience that issue but perhaps an e-mail to Credit Karma might sort it out. It’s a great tool if you can gain access. No need to pay for credit score trials anymore! 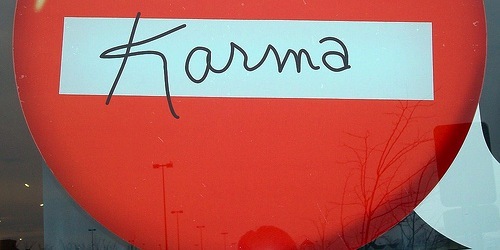 Credit Karma is awesome! I’m a big fan of Credit Karma. Love the free credit scores and updates and all the info I can see without spending a penny. Previous Previous post: How Many Credit Cards Should I Have? Next Next post: How Many Credit Inquiries Is Too Many?